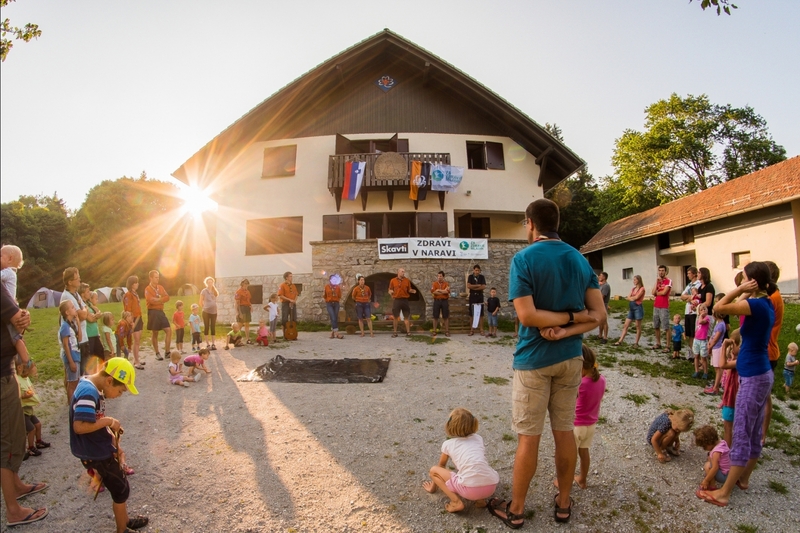 Slovenian Girl guides and Boy Scouts wish to develop the Environmental Scout Centre on this unique location, where we will carry out environmental educational programs for members of our organization and for other public. With regular activities in the environmental center we wish to bring nature nearer to young people and spread the environmental consciousness. The entirely renovated house offers 32 beds, a fully equipped kitchen, a dining room, a big community room, 4 bunkrooms, toilets and showers. The house has its own water reservoir and central heating. The Environmental Scout Centre Kočevski Rog (SOC) is located at the edge of the virgin forest Rajhenavski Rog in the southern part of Slovenia. The main mission of the center is the development and passing on of an environmental awareness consciousness through the implementation of the scout method. Check on the map. Check the website of the Environmental Scout Centre (link). More information is available in the presentation brochure (link).